Charles McGrady was convicted in North Carolina of murdering his cousin, James Shore Jr. McGrady admitted that he shot Shore but claimed that he acted in self-defense. The trial court denied his request to call a “use of force” expert in his defense. On appeal, the state’s highest court decided that the federal Daubert standard of expert witness admissibility now applies in North Carolina. Applying that exacting standard, it affirmed the lower court’s exclusion of the expert testimony. McGrady and Shore lived across from each other in a trailer park. They had a long history of combative behavior. McGrady testified that the night before the shooting, Shore threatened to kill him. The next day, McGrady drove his golf cart to his mailbox. His son, seated next to him, was armed with an assault rifle. McGrady was carrying a 9-millimeter handgun. As McGrady was driving back to his trailer, he saw Shore shouting and moving toward him. McGrady activated a tape recorder that captured much of the argument between the two men. McGrady accused Shore of threatening to kill him. Shore accused McGrady of shining a spotlight on him the previous night. Another witness testified that it was not a spotlight but the laser sight of an assault rifle that McGrady pointed at his cousin. The men exchanged a variety of threats. According to McGrady’s son, Shore approached the golf cart and began to shake it. McGrady testified that Shore also threatened them with a knife. McGrady asked his son to hand him the assault rifle “to defuse the situation,” an act that prompted Shore to reach for the rifle. Whether Shore actually grabbed the rifle was disputed by the witnesses. McGrady testified that Shore pointed the rifle at his son’s head. McGrady then shot Shore with his handgun. McGrady fired seven shots, four of which struck Shore. McGrady argued that he acted in self-defense and in defense of his son. To bolster that defense, he wanted to call Dave Cloutier as an expert in “the science of the use of force.” The trial court denied that request and McGrady was convicted of murder. In 2011, the North Carolina General Assembly amended Rule 702(a) of North Carolina’s Rules of Evidence. The version that the legislature adopted tracked the language of the federal rule governing the admissibility of expert testimony. The federal rule is commonly known as the Daubert standard, based on a United States Supreme Court case that defined the trial court’s responsibility in applying the rule. The Court concluded that federal precedent construing the Daubert standard should guide North Carolina cases. Of course, as ExpertPages has often noted, federal courts have adopted varying interpretations of the federal rule. Some interpretations are more liberal and others are more restrictive in defining the judge’s role as the “gatekeeper” of expert evidence. North Carolina had a fairly liberal standard for the admission of expert evidence before the legislature adopted the Daubert standard. The Court concluded that its prior cases will continue to guide judges, but only to the extent that they are not inconsistent with Daubert. 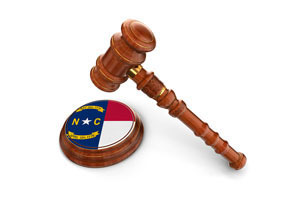 For the most part, cases that decided whether expert testimony would be helpful to the jury and whether the expert was qualified to testify will still be good law in North Carolina. The key difference between the old and new standards is that a judge’s assessment of whether expert testimony is reliable will be more rigorous than it was in the past. the shots that hit Shore in the back can be explained by reaction times. The North Carolina Supreme Court concluded that the trial judge did not abuse his discretion in disallowing that testimony. The appellate court agreed that McGrady’s perception of a likely assault was within the jury’s common knowledge and that an explanation of cues (such as threats and the display of a weapon) and variables (such as the age and size of the participants in the dispute) would not add anything to what jurors already understood. The Court also agreed that Cloutier was not qualified to offer expert testimony about the stress responses of the sympathetic nervous system. Cloutier was not a doctor. He claimed to have “basic knowledge” of brain functioning based on taking college psychology courses, reading articles, and teaching police officers how to deal with stress responses. The Court concluded that while Cloutier “may have been eminently qualified to testify about standard police practices regarding the use of force, he was far less qualified to testify about the sympathetic nervous system.” Whether Cloutier was adequately qualified was a judgment call, and the trial court’s judgment was not so obviously wrong that the court could be said to have abused its discretion. Finally, the appellate court agreed that Cloutier’s proposed testimony regarding reaction times was unreliable. Cloutier would have testified that a person can turn his body in less time than it takes to perceive a threat and fire a weapon, so Shore might have been facing McGrady when McGrady decided to shoot, but might have turned his back to McGrady before the shots were fired. The trial court thought the proposed testimony was unreliable because Cloutier based his opinion on reaction time studies, but admitted that factors such as clothing, injuries, and initial body position can affect reaction time. Those factors would seem to go to the weight a jury should give to Cloutier’s testimony rather than its reliability. In fact, use of force experts routinely testify about reaction times in cases where the police shoot a suspect in the back. The same standard presumably should apply to civilian defendants, but the Court concluded that the trial court did not abuse its discretion in deciding that Cloutier’s testimony was unreliable. In the end, the McGrady case is more important for its definitive ruling that North Carolina now follows the Daubert standard than for its application of that standard to Cloutier’s expert testimony. Other trial judges applying the same standard may have concluded that some parts of Cloutier’s testimony were admissible. In fact, use of force experts are common when police officers are on trial, so the McGrady decision should not be read as prohibiting use of force expert testimony in every case.